What if a Hero became a Villain by always making the right choice? 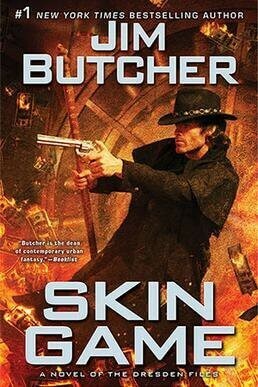 The tale of Harry Dresden follows the formula of the Fallen Hero, but with a twist: his fall is caused by making the right choices. 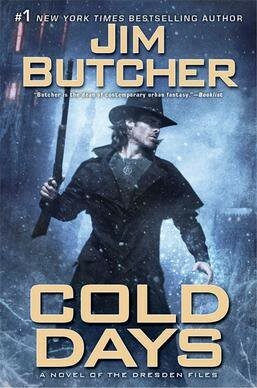 The first book of the Dresden Files presents Harry Dresden as the quintessential hero. A scrappy and powerful wizard, Harry setups up a detective agency in Chicago where he solves crimes and saves lives. It’s the kind of story I enjoy. I want to root for the hero, see them overcome terrible perils and emergent triumphant! And during my first read through the series it seemed to deliver exactly that. But on my second read through a few years later, I noticed a subtle thread running through all of the stories. By the end of the series, our hero has become a monster. It’s such a pervasive theme of the books that it warrants further examination. 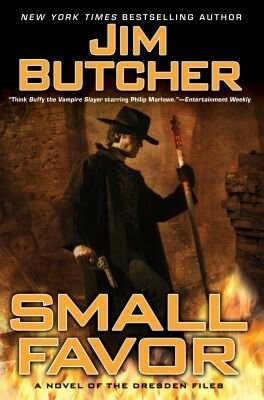 Before going any further be warned that this article will spoil books 1-14 of the Dresden Files. I will spoil specific book details, and I will spoil an over-arching theme of the series. If you enjoy well-crafted fantasy stories, gritty noir fiction, or fun detective mysteries I highly recommend you check out the series for yourself and stop reading immediately! Seriously, these books are awesome. Don’t spoil them for yourself! We’ve all experienced the “Fallen Hero” story across countless permutations. It goes like this: A Hero sets off with noble intentions only to crumble under the weight of a personal flaw, traumatic event, or crisis of belief. As a result the Hero lets down the audience and suffers for it during the course of the story. In the beginning, Harry begins his career with noble ambitions fueled by naïveté. After claiming Chicago as his home, he does his best to defend it from all kinds of terrible threats, barely succeeding every time. Each success requires sacrifice, however, and drags him further and further downwards. He begins his Fall. By book 14, Harry is a monster barely restraining his darker impulses and regularly endangers everyone he cares about. Book 14 in particular is brimming with scenes of distrust and fear towards the fallen Harry. Edmond Dantes is obsessed with revenge, and so on. Harry doesn’t do this. He isn’t perfect and he makes plenty of mistakes. But when it comes down to the wire Harry always makes the choice that will save innocent lives. He always makes the right choice. Harry discovers something wrong; dead body, missing person, stolen item, etc. Harry begins to investigate and slowly discovers a much bigger plot with several suspects. Harry admits that this problem is too big for him, he probably can’t handle it. However, he manages to come up with a risky plan that just might work. In Step 4 lies the crux of this article. Step 4 involves Harry sacrificing his personal convictions for the power/knowledge to save the day. This can happen through gaining magical doodads, or making morally questionable alliances. Let’s take a quick peek through the books. Each event listed below was a quintessential part of Harry overcoming the threat and saving innocent lives. Each time he gains power and sacrifices more an more of his soul. Book 2: Harry dons a magic belt that turns him into a wolf and nearly loses himself to the bloodlust. Later in the series he makes a version of this belt for regular use. 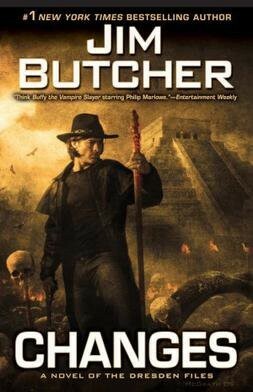 Book 3: Harry torches a vampire stronghold by tapping into his rage and fury. He kills hundreds of vampires and several innocent victims. Book 5: Harry accepts the “spirit” of a demon into his head, granting him incredible power and knowledge. Book 6: Harry commits his loyalty and friendship to a vampire. Book 7: Harry learns necromancy and uses it. Book 9: Harry helps a cruel mobster gain influence within the magical community. Book 10: An angel grants Dresden access to stronger magical power that feeds off his soul. Book 11: Dresden bonds himself to an ancient island filled with dark energy. Book 12-14: Dresden realizes he is becoming a monster and attempts to commit suicide. This important moment spans across 3 books. Book 15 is out, but I haven’t read it yet. It’s impossible to predict how the story will unfold, but books 1-14 offer a clear devolution from Hero to anti-hero to monster. 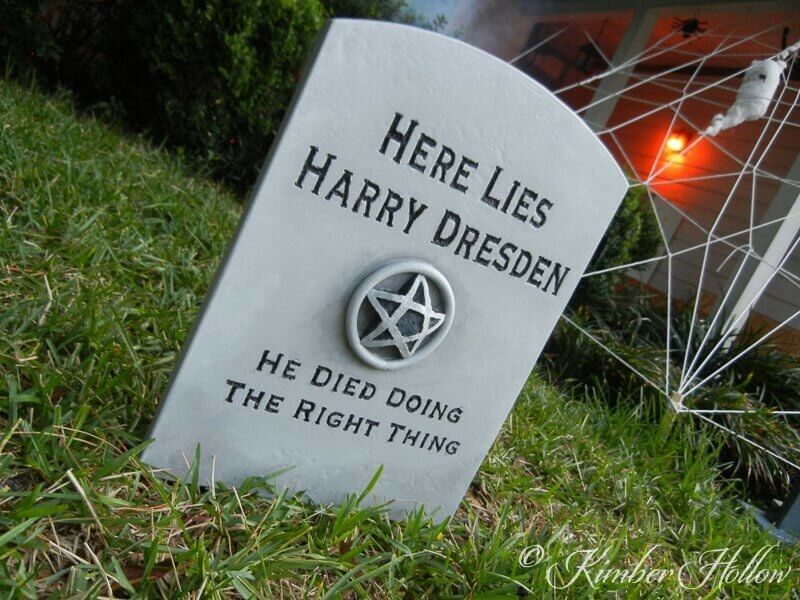 Dresden consistently puts himself before others. He is self-sacrificing to a fault, giving up his morals and ideals for millions of innocent lives. In a sense he even forfeits his claim to the title of “Hero” by being just that: a Hero. However, the time may come when Harry has given away so much of his humanity that he becomes the very threat he fought against. I am curious to see how the author plans to resolve this pattern. Will Harry eventually be forced to give up his power (and his ability to save lives) in order to redeem himself? Or will he continue to grow stronger and stronger, sacrificing more and more of his soul? By the end of the series, what kind of Hero (or monster) will Harry be?